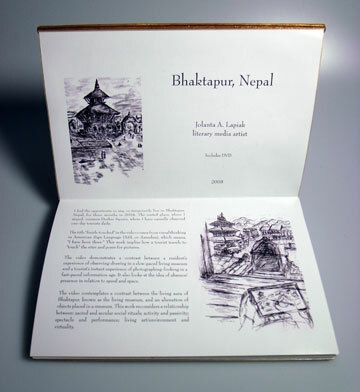 Bhaktapur is one of the three cities of Kathmandu Valley in Nepal, where non-residents pay Rs750 (approximately $10 USD) to enter this "living museum", Bhaktapur. Many tourists stayed there for a few hours more or less. Whereas, I resided in an apartment in the square of this town for three months with a retired British couple. We were the only three non-Nepali living in this town. 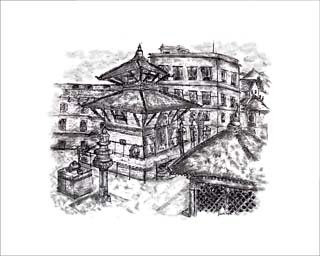 For the duration of three months of my stay, often through a window in the square, I observed tourists coming in and out daily as well as Nepali residents living there. Many stone and bronze sculptures were looted from the Kathmandu Valley and other places in Nepal. 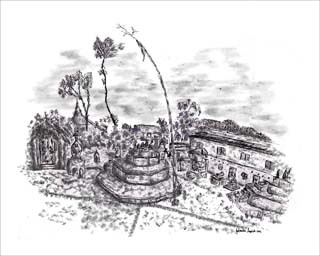 Local villagers used to value and worship these sculptures as a religious function and significance. My colleague, Aidan Warlow, once wrote, "Those things that were once religious icons become 'works of art' through collection. What is sacred becomes photogenic. What is ancient becomes antique with a high market price tag." In contrast to Bhaktapur, an experience suddenly changed when I visited the national gallery in Mumbai, India. 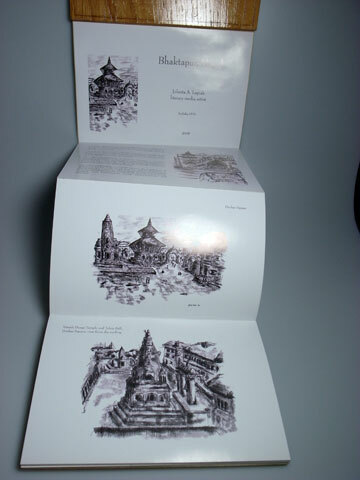 It contained a large number of Nepali sacred stone sculptures. I was struck by an experience of alienation in space and time. I felt a sense of passivity and lifeless aura when confronted by those displaced objects in the museum context. 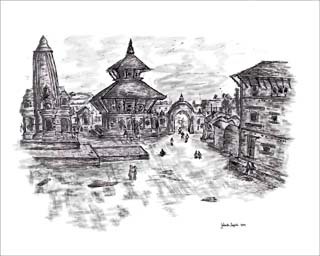 Durbar Square, Bhkatapur. 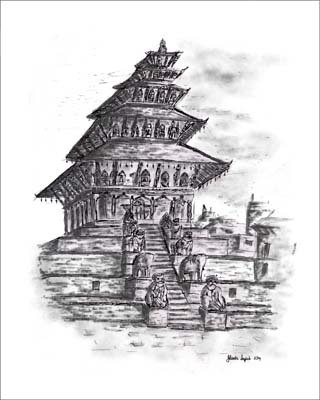 Drawing in Bhaktapur. Digital drawing on canvas 30"x24", Calgary, 2004. 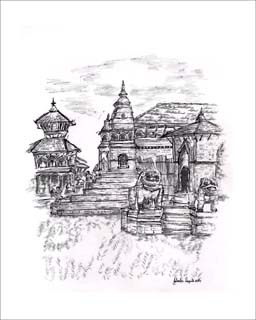 Vatsala Durga Temple and Taleju Bell in Durbar Square, Bhaktapur. Siddhi Lakshmi Temple. Digital drawing on canvas, 24"x30". 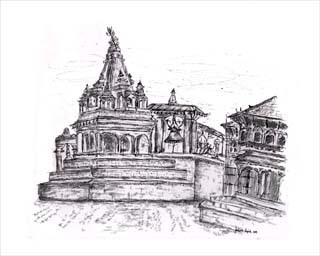 Drawing in Bhaktapur, Nepal. Completed in Calgary, 2004.